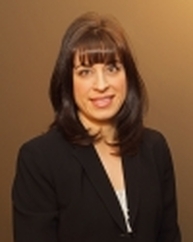 Christina Curcione, OD is a graduate of the Illinois College of Optometry. Dr. Curcione's interests include binocular vision disorders, specialty contact lenses, dry eye management and laser vision co-management. Dr. Curcione is a member of the American Optometric Association and the College of Optometrists in Vision Development. She has been involved with area intermediate school districts, providing care to physically and cognitively impaired individuals. Recently, she was chosen to join Eastern Michigan University's team of physicians to provide vision care to EMU's student athletes. Jennifer Mazzola Sortor, OD, MS, FAAO, FCOVD graduated from the University of Michigan and the Ohio State University College of Optometry. She earned a post-doctorate level master's degree focusing on pediatric and developmental vision and has researched and published on the topic. In 1999, she was awarded the College of Optometrists in Vision Development (COVD)'s award for Excellence in Vision Therapy. ​Dr. Sortor is an active member of the American Optometric Association, the Neuro-Optometric Rehabilitation Association and is a fellow in both the American Academy of Optometry and the College of Optometrists in Vision Development. Her professional interests include specialty contact lens fittings, dry eye management, and the relationship between nutrition and good vision. Leah Bruder, OD is a graduate of the University of Michigan and the Southern College of Optometry. Dr. Bruder enjoys integrating new technology into the examination of children and adults. She practices primary care optometry with an interest in fitting contact lenses and managing ocular disease. 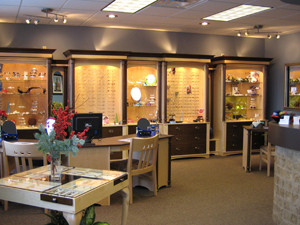 Dr. Bruder is a member of both the Michigan and American Optometric Associations.